Rae Cricket Coaching – REFINE, ADAPT, EXCEL. Players are challenged in an inclusive and supportive environment. Our programmes integrate technical work, strength and conditioning, tactical awareness and mental skills. We aim to REFINE a player’s skills and encourage them to ADAPT to game situations technically, tactically and mentally. We believe this will enable the player to EXCEL. Rae cricket coaching has created an inclusive coaching programme that gives equal opportunity for players to develop the technical, tactical and mental aspects required for playing cricket. We believe that mental preparation is equally as important as physical preparation. Currently based in London we believe our programme can support players to achieve their goals, whether they have just fallen in love with the game or they are playing representative cricket. We start with players when they are 9 years old. 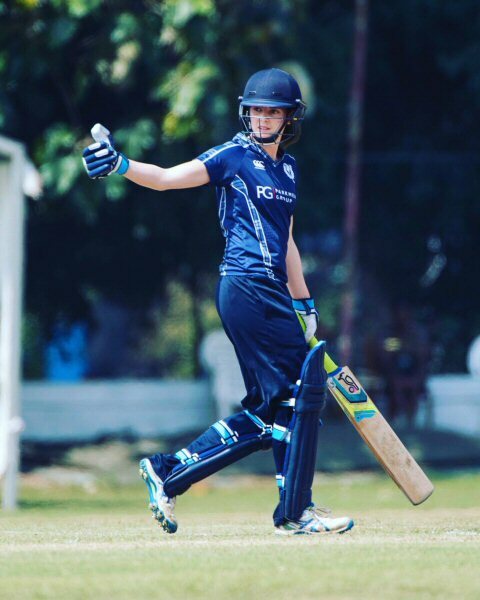 Our Director, Olivia Rae, has 76 caps for Scotland as a batting and pace bowling all rounder and is a level 3 qualified coach (since 2014). A former Head Coach of the Scotland U17 national team she is the current Berkshire U17 county girls head coach and Middlesex county U11 girls coach. Olivia has recently started working with North London cricket club leading the girls programme, as well as working as part of the coaching team that coaches junior boys and senior men. Olivia is also undertaking a Doctorate in Education at Durham University with a key interest in how emotions affect decision making, particularly in cricket. At Rae Cricket Coaching we aim to offer the highest quality service for players. Ultimately, we aim to empower those players that we work with to be confident cricketers, have an open mind to learning and an understanding of the individual strengths they can bring to a team. All of our coaches have undertaken the required safeguarding checks and are cleared to work with children.